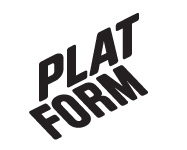 An intervention at the Old Sugar Factory in Vaasa – Platform r.f. Platform would like to invite you to the opening of Yann Vanderme’s intervention in the Old Sugar Factory at Vasklot in Vaasa. Yann Vanderme (FRA), who is Platform’s artist-in-residence, has renovated a 13mm wide strip in the abandoned factory on the industrial island Vasklot. The strip has been brought back to it’s original condition, as it was 30 years ago when the factory was still in use. The strip leads through the whole building and can be seen at the floor, walls and ceilings. The renovated strip with its clear and sharp edges creates a strong contrast with the state of the building and emphasizes the decrepit and abandoned state of the factory. Opening of Yann’s project will be 14.00 in the afternoon when the sun is still up. For the people that come after sundown there will be portable lights to track the strip. Here you can find the Old Sugar Factory.